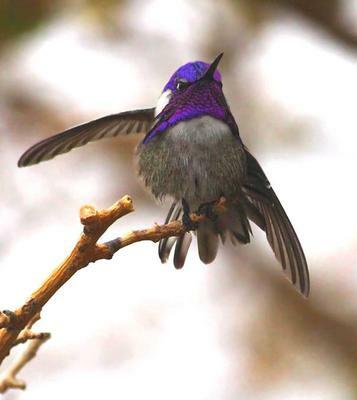 The Costa's hummingbird is one of our smallest hummingbirds. It is here in So. Calif. through most all seasons and a real delight to see. I've had the pleasure of befriending a few of these beautiful little powerhouses! Yes... befriending!! That being said.. I encounter seasonal hummingbirds to my location such as the Rufous, the Anna's, along with the Calliope, every year in my yard. The Black-chinned and the Costa's seem to be here all year, but seen more towards the end of fall into the winter. 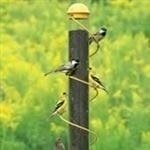 These beautiful little trusting friends get so excited when I present fresh nectar.. that they don't wait for me to hang it back in the tree and land on the feeder as I am holding it trying to take it to its hanging place!! 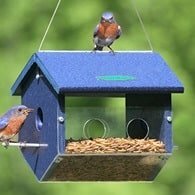 When their feeder is empty and they see me, they will fly around me... hover in front of me.. zip away and back again and land close to their feeding post! That's how I know it is empty! 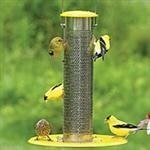 I never fill it very full as it can go bad easily and fast if hanging too long without other hummers or seasonal visitors as the Orioles, the Ladderbacked Woodpecker, the Verdin, and even some of the warblers that inspect the feeders. 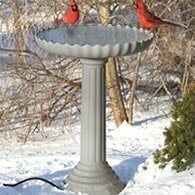 The House Finches, occasionally in the summer, get smart and know that if they land on the feeder and hop around or flutter, some will leak out and they sip it up. That doesn't happen all too often. 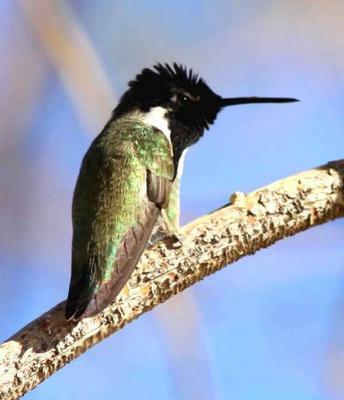 It is amazing to see these territorial little jets,(hummingbirds) buzz around them with their amazing aerobatics as a scare tactic to chase them away. 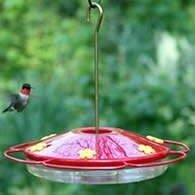 But they aren't always successful and a few of the larger birds that visit the nectar feeders will sit gently unaffected and allow the little hummers to land and join in. 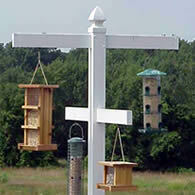 It's an amazing sight, to see our smallest little birds sized to other birds! 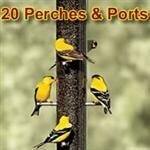 With the exception of the Verdin, and some of the warblers, that aren't much bigger!! It truly is a wonderful treat and experience. 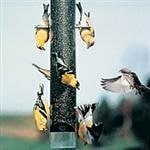 I believe we also help those older hummers that are seasonal, but can no-longer make their journey, by keeping up with the nectar feeders, all year round! It's truly a blessing to watch these little ones at play, in courtship, relaxed.. YES RELAXED.. ha ha..nap and groom themselves! 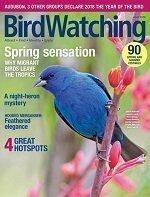 Keep up the backyard birding!